We’d love your help. Let us know what’s wrong with this preview of Benjamin Buckingham And The Nightmare's Nightmare by Gregory Gershwin. WARNING: Do not read if you hate talking dinosaurs. DOUBLE WARNING: This book contains adventure and castles and nightmares and far away lands. TRIPLE WARNING: Do not read this book while riding roller coasters. What happens when you wake after a night of dreaming to find your favorite dinosaur character from your favorite TV show talking to you in your bedroom? You and th WARNING: Do not read if you hate talking dinosaurs. You and the dinosaur panic!!! After nine year-old Benjamin Buckingham calms down, he chooses between chasing after the dinosaur into a secret world or... going to school. What Benjamin finds is an imaginative world with castles filled with people who create dreams. But, Benjamin discovers something else, something awful, something treacherous. 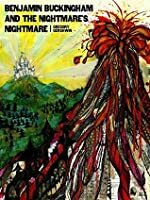 An evil castle creates nightmares and the ruler of this castle wants to destroy all the dreams. Benjamin begins a quest to save a kidnapped king and finds talking animals, magical castles, and frightening monsters along the way. Will dreams survive? Will nightmares be destroyed? Will dinosaurs continue talking forever? To ask other readers questions about Benjamin Buckingham And The Nightmare's Nightmare, please sign up. Benjamin is your average 9-year-old kid but his dreams have been getting weird lately. When he compares himself to other kids, he sees his dreams as being boring. Most of the time he just dreams about being a part of his favorite show: Jurassic Superheroes. The show is about talking dinosaurs who fight evil, in his dreams he is helping the stars of the show battle bad guys. Lately though those dreams are turning into nightmares. One night he wakes up from his nightmare and finds a talking dinosau Benjamin is your average 9-year-old kid but his dreams have been getting weird lately. When he compares himself to other kids, he sees his dreams as being boring. Most of the time he just dreams about being a part of his favorite show: Jurassic Superheroes. The show is about talking dinosaurs who fight evil, in his dreams he is helping the stars of the show battle bad guys. Lately though those dreams are turning into nightmares. One night he wakes up from his nightmare and finds a talking dinosaur named Snark in his bedroom. Both of them start screaming and Snark escapes through a hole under Benjamin’s bed. Benjamin then makes the choice that he would have much more fun exploring what’s in the hole under the bed then going to school. So he leaps down the hole and finds a world of dinosaurs, dragons, talking animals and castles where dreams and nightmares are created. Soon afterwords Benjamin finds himself on a quest to save a missing king and he has to stop nightmares from taking over dreams. Benjamin Buckingham And The Nightmare’s Nightmare by Gregory Gershwin is a YA fantasy novel that will change the way you think about dreams. Who would have thought that dreams are made in another world by actors in a giant castle. I thought this was a really cool idea to base a book on and I liked the idea of Benjamin finding out that he is more important than he thinks and the dream world was not what he thought it was. This book is a fun read, there were some parts of the story that didn’t makes sense to me and at times I felt the story could have used a little more action. That being said, I enjoyed the dialogue in the story and loved all characters. Some of the exchanges between Benjamin and the other characters are hilarious. When he arrives in the castle he has to convince the king that he is not a monster and then later learns there is a lot that you are not allowed to talk about in the castle. Benjamin has another great conservation with my favorite character Myrna the caterpillar. Myrna sells maps to people who are entering the forest but her maps aren’t always correct. She is only one of the interesting creatures you meet in this story and they all have one thing in common, which you will find out when you read the book. “Benjamin Buckingham and the Nightmare’s Nightmare” was an enjoyable read. Okay, it IS meant for children/YA, but I was in a need of a good chuckle and that it gave me. Benjamin is a boy from Pennsylvania, who has awesome parents, school life isn’t so great. There’s a bully. And well, school can be really hard. On top of that, people seem to have stopped dreaming. But what happens when Benjamin enters a different world? One where there’s a dream machine and nightmares come calling? The pattern of “Benjamin Buckingham and the Nightmare’s Nightmare” was an enjoyable read. Okay, it IS meant for children/YA, but I was in a need of a good chuckle and that it gave me. The pattern of storytelling is in a bit of a singsong, which makes for excellent reading aloud. And the dialogue had me chuckling. [Benjamin looked at the desk and saw the smallest green caterpillar he had ever seen. It was so small that it was hardly visible. It was standing on its end and speaking to him through a loudspeaker. “You're a caterpillar!” Benjamin said in surprise. “You're a human!” the caterpillar responded in mock surprise. “And you can talk?” Benjamin asked. “And you can talk?” the caterpillar responded again. Myrna stared Benjamin in the eyes, standing approximately three inches tall. Okay, so I gave you a bit more text than I should have, but this is fantastic. While the text is geared toward children, adults will enjoy it as well. And it isn’t all chuckles, talking trees (oops, spoiler) and talking dinosaurs (please let them stay), there are some poignant points about dreams, overcoming bullies and the magical delight that exists when we have an active imagination. Benjamin Buckingham is a nine-year old boy from Pennsylvania. He is having a hard time fitting in at school and is being mocked and bullied. He finds his only true friends are his action hero talking Dinosaurs that he dreams about at night. He wakes up and finds one of these Dinosaurs in his room and they both are startled and let out screams. The Dinosaur takes off running, slips under the bed and disappears into a beam of light....Benjamin jumps in after him and to his amazement discovers it i Benjamin Buckingham is a nine-year old boy from Pennsylvania. He is having a hard time fitting in at school and is being mocked and bullied. He finds his only true friends are his action hero talking Dinosaurs that he dreams about at night. He wakes up and finds one of these Dinosaurs in his room and they both are startled and let out screams. The Dinosaur takes off running, slips under the bed and disappears into a beam of light....Benjamin jumps in after him and to his amazement discovers it is a portal to a new unknown world. His decision to follow will change his life forever. Benjamin encounters the dream world's King and they become friends. Benjamin discovers if he does not return home immediatly he will be forced to stay in this strange world for a month. The King tries to return Benjamin to his home but unfortunately they miss the portal (due to bad guy interference) and poor Benjamin has no choice but to stay longer in this strange world. The dream King is kidnapped and banished from the castle. Since the King is the only one who can help Benjamin return home, Benjamin makes it his mission to rescue him because he knows that he is in deep trouble. Through his fears and struggles Benjamin goes through a wonderful transformation. Once a backward and awkward boy, he morphs into a confident, happy one who learns self-worth and finds many friends who truly admire and respect who he is. This story is a wonderful fantasy tale with many twists and turns that will keep you eagerly turning the pages to find out what will happen next. Many life lessons can be gleaned from the characters pontifications. If you like action, adventure, villains and heroes, dreams, and kids saving the day, then this book is definetly for you! It is a creative and imaginative story about conquering your fears and believing in yourself making you a much better person indeed. From the minute I opened this book I was hooked. Benjamin Buckingham dreams each night that he is a hero in his dreams. He travels with a group of dinosaurs from his favorite show. He helps save the world from a villain and he is the leader of the good guys. It is ironic that his teacher has given them dream journals to keep for a week. When they share them out in class he realizes that his dreams are nothing like I received a copy to facilitate my review. The opinions expressed here are my own. From the minute I opened this book I was hooked. Benjamin Buckingham dreams each night that he is a hero in his dreams. He travels with a group of dinosaurs from his favorite show. He helps save the world from a villain and he is the leader of the good guys. It is ironic that his teacher has given them dream journals to keep for a week. When they share them out in class he realizes that his dreams are nothing like his classmates dreams. When he reads his the class bully makes fun of him and the entire class laughs at him. He goes home very disappointed. That night he begins his dream again, only something is different. He is being chased by a monster. One of the dinosaurs from his dream saves him. He wakes up to find the dinosaur in his room. When the dinosaur disappears through a hole in his floor, under his bed, he follows. He finds himself in the land where dreams are made. Since he misses the portal to get back to his world, he is stuck there for a month. He learns that the dream machine is broken. Things keep getting worse and when the King disappears and Benjamin is blamed. Benjamin must save this world if he is to save the dreams in his own world. "An Exciting Adventure Story For Young Adults"
This novel is a very entertaining read for young readers which takes them from dreams, dinosaurs, and into another world. The author has created a captivating story line which will keep kids enthralled in reading this adventure. In this story, nine-year-old Benjamin Buckingham loves dinosaurs. He's anxious to fall asleep so he can dream of them. Mr. Marchetta, his school teacher, has given journals to all his students so they can record their dreams "An Exciting Adventure Story For Young Adults"
This novel is a very entertaining read for young readers which takes them from dreams, dinosaurs, and into another world. The author has created a captivating story line which will keep kids enthralled in reading this adventure. In this story, nine-year-old Benjamin Buckingham loves dinosaurs. He's anxious to fall asleep so he can dream of them. Mr. Marchetta, his school teacher, has given journals to all his students so they can record their dreams for one week. Benjamin likes to watch a tv series about the evil Professor Undutios who plans to destroy the world and the good dinosaurs who ruin the professor's plans. Before long, Benjamin falls asleep with dreams of something more evil than Professor Undutios. When Benjamin reads his journal entry about his dream, fellow student Howard Horn identifies it as an episode of the tv series Jurassic Superheroes. Benjamin becomes embarrassed and loses all confidence in himself, as all the students laugh at him. The only friends he feels he has now are the dinosaurs of his dreams. Then one night, Benjamin dreams he is saved from a monster by Snark, a Tyrannosaurus rex. When he wakes from the scary dream, Snark is in his room! Reality! He and snark are so shocked to confront each other, they both scream! Snark has to leave and return to his own world by jumping into a pool of bright light under Benjamin's bed. Benjamin realizes that the pool of light is a portal to another world. Rather than go to school, he makes a decision and then leaps into the fading light ... and enters that other world which turns into an awesome adventure. Gregory Gershwin has written a stunning, ultra creative, story which will captivate young readers. As an adult, his story swept me into the adventure and I became riveted. This is truly a thrill ride! Nine year old Benjamin Buckingham from Pennsylvania doesn’t fit in with the other kids at school. His only friends are the action hero talking Dinosaurs he dreams of at night. So it’s no surprise when he awakes one morning to find one of his dream Dinosaurs in his bedroom that he follows it into an unknown new world. Benjamin finds sympathy and friendship in the form of the dream worlds King. The trouble starts when the King tries to return Benjamin to his world and they miss the portal (thanks t Nine year old Benjamin Buckingham from Pennsylvania doesn’t fit in with the other kids at school. His only friends are the action hero talking Dinosaurs he dreams of at night. So it’s no surprise when he awakes one morning to find one of his dream Dinosaurs in his bedroom that he follows it into an unknown new world. Benjamin finds sympathy and friendship in the form of the dream worlds King. The trouble starts when the King tries to return Benjamin to his world and they miss the portal (thanks to bad guy interference of course). Things only get worse for Benjamin as the King is kidnapped and he finds himself banished from the castle. Being that the king is the only one who can send Benjamin home, he does the only thing he can do – set off to save the king. In this story we see Benjamin transform into a confident, happy boy, who learns his self-worth and makes friends along the way (be it with a talking caterpillar and a squirrel that runs with its eyes shut). The story has a kind of Alice in Wonderland, Wizard of OZ, Never-ending Story vibe – It entertains you and makes you feel warm and fuzzy inside. There are plenty twists and turns in the story to keep even the adults riveted. Not to mention there are some really good character speeches, imparting some important life lessons. This story has everything; action, adventure, bad guys, good guys, dinosaurs, dream studios, classes about creating dreams for grumpy old men, and a nine year conquering his fears and saving the day with his creative imagination – what more could you want. When I told my kids there's a new book on the horizon, with talking dinosaurs and castles and monsters, their eyes sparkled with glee! We read Benjamin Buckingham and the Nightmare's Nightmare one night and my boys loved it. Benjamin was being bullied at school when he told his class his dream about dinosaurs saving the world in the hands of a monster. His classmates insisted Ben was telling them about his favorite TV show Jurassic Superheroes and just made up his dream. Devastated at school (an When I told my kids there's a new book on the horizon, with talking dinosaurs and castles and monsters, their eyes sparkled with glee! We read Benjamin Buckingham and the Nightmare's Nightmare one night and my boys loved it. Benjamin was being bullied at school when he told his class his dream about dinosaurs saving the world in the hands of a monster. His classmates insisted Ben was telling them about his favorite TV show Jurassic Superheroes and just made up his dream. Devastated at school (and at home) he soon found himself being pulled to a new world that had Dinosaurs and castles and a kidnapped King Zrwin. Ben transformed from a bullied kid to a teachers pet to hero after he had battled out with the monsters and made friends and caterpillars along the way. With dreams and nightmares coming true, flying machine and clouds, it was easy to get lost in reality and fantasy. The story begins with Benjamin Buckingham loving to watch a TV series about an evil professor and good dinosaurs who ruin the professor's plans. He often dreams that he is part of the episodes to save the day. When his teacher Mr. Marchetta, asks the class to read their dreams to the class, Benjamin is embarrassed when a class bully recognizes the dream as part of the TV series. Then one night, Benjamin dreams he is saved from a monster by Snark, a Tyrannosaurus Rex. When he wakes from the scary The story begins with Benjamin Buckingham loving to watch a TV series about an evil professor and good dinosaurs who ruin the professor's plans. He often dreams that he is part of the episodes to save the day. When his teacher Mr. Marchetta, asks the class to read their dreams to the class, Benjamin is embarrassed when a class bully recognizes the dream as part of the TV series. Then one night, Benjamin dreams he is saved from a monster by Snark, a Tyrannosaurus Rex. When he wakes from the scary dream, Snark is under his bed! After nine year-old Benjamin Buckingham calms down, he chooses between chasing after the dinosaur into a secret world or... going to school. What Benjamin finds is an imaginative world with castles filled with people who create dreams. But, Benjamin discovers something else, something awful, something treacherous. 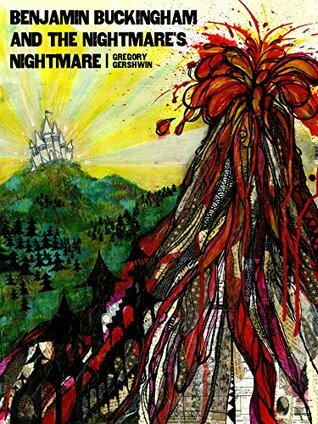 An evil castle creates nightmares and the ruler of this castle wants to destroy all the dreams. Benjamin begins a quest to save a kidnapped king and finds talking animals, magical castles, and frightening monsters along the way. When I received my very first request to review a book, I was so excited! I found it's page and read the synopsis, and I was hooked. Although it isn't a book I would normally read, I found it to be a lot like Jason Segel's Nightmares, which I also really enjoyed. The story follows Benjamin Buckingham, whose dreams of dinosaurs and adventures get invaded by a terrible monster. He wakes up to find that people can't dream anymore - nightmares are taking over - and a dinosaur from his dream is in his When I received my very first request to review a book, I was so excited! I found it's page and read the synopsis, and I was hooked. Although it isn't a book I would normally read, I found it to be a lot like Jason Segel's Nightmares, which I also really enjoyed. The story follows Benjamin Buckingham, whose dreams of dinosaurs and adventures get invaded by a terrible monster. He wakes up to find that people can't dream anymore - nightmares are taking over - and a dinosaur from his dream is in his room! The dinosaur, Snark, goes through a portal under Benjamin's bed, and he follows, taking him to the world where dreams and nightmares are made. Dreams are made at the Castle Ehtahl, a place where the schoolchildren are taught how to create dreams, and the people in his and other people's dreams are merely actors. Snark is a man called Rodney. Benjamin learns that people can't dream anymore because a piece from the dream machine is missing. But has it been misplaced, or has it been stolen? I loved following Benjamin in his adventure to find the piece of the dream machine, and meeting the friends he makes along the way. He learns a very valuable lesson by the end of the book, and it has one of the nicest endings I have seen in a book. When I was contacted to review this book, I was already overwhelmed with books to review. However I went to Gregory's website and was enchanted! I enjoy quirky stories and began to read. I was hooked right from the start. Benjamin Buckingham and The Nightmare's Nightmare is a mix of Alice in Wonderland and Charlie in the Chocolate Factory. You could feel yourself sliding down the hole into Benjamin's dreamworld. Benjamin was a likeable character and I found myself rooting for him. The writing styl When I was contacted to review this book, I was already overwhelmed with books to review. However I went to Gregory's website and was enchanted! I enjoy quirky stories and began to read. I was hooked right from the start. The writing style was delightful, whimsical and fun and the animal characters were hilarious! The storyline contained a mix of both reality and fantasy but it felt totally believable. I highly recommend this wonderful story! Benjamin Buckingham and the Nightmare’s Nightmare is a fun tale about perspective and confidence. It will resonate with older children. There are no illustrations, less the cover, and it is a fairly lengthy chapter book about visiting the land where dreams and nightmares (daydreams too) are made. Parallel with our reality: politics, subterfuge, alliances, and the like run afoul. A different boy, a special boy, Benjamin Buckingham finds himself stuck in another land and finds new friends, all diff Benjamin Buckingham and the Nightmare’s Nightmare is a fun tale about perspective and confidence. It will resonate with older children. There are no illustrations, less the cover, and it is a fairly lengthy chapter book about visiting the land where dreams and nightmares (daydreams too) are made. Parallel with our reality: politics, subterfuge, alliances, and the like run afoul. A different boy, a special boy, Benjamin Buckingham finds himself stuck in another land and finds new friends, all different in personality and presentation, and learns that confidence can make or break a dream, as well as reality. Great YA book but really would for kids of any age, whether read by or read to, and as an adult, it was fun and engaging story into the world of a 9 year-old's dreams. What is real and what's not? filled with talking dinosaurs, and wondering if there is any escape from the dreams but what is a dream and what is not? Great story and well-written. Capturing the boy's imagination and even that of the reader.